London: Brent crude slipped below $108 per barrel on Monday as investors worried a European agreement on closer fiscal union might not be enough to contain the region’s debt crisis or support growth. All EU countries except Britain agreed last week on stricter budget rules, moves towards fiscal union and to provide up to €200 billion in bilateral loans to the International Monetary Fund to help tackle the crisis. But it could take three months to negotiate and may require referendums in countries such as Ireland. Investors worry the long-term steps may not be sufficient to avert a short-term funding crisis for one or more of the euro zone’s indebted economies. Tight budget control is also likely to imply lower economic growth in the medium term. “The austerity measures will have a profoundly negative impact on economic growth and will make 2012 a very challenging year in economic terms," said Philippe Gijsels, head of research at BNP Paribas Fortis Global Markets. Brent futures for January fell $1.57 to a low of $107.05 before recovering a little to around $107.30 by 04:00 pm. US crude futures fell $1.52 to $97.89, after settling more than $1.07 a barrel higher on Friday. Eugen Weinberg, head of commodity research at Commerzbank in Frankfurt, said markets could face additional pressure this week if rating agency Standard & Poor’s followed up on its decision after placing all euro zone sovereigns on creditwatch negative. “If we get an S&P downgrade, the markets will take another leg down," Weinberg said. “It has not been discounted yet." 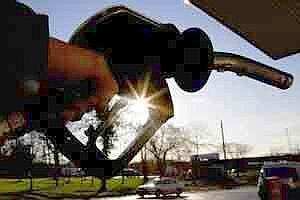 Balancing the euro zone gloom for the oil market were figures from China showing a surge in crude imports. The country’s crude oil imports rose 8.5% over a year earlier to 5.52 million bpd in November, the second highest on record on a daily basis. The daily rate was also nearly 13% more than in October. China’s implied oil demand, a combination of crude runs and net oil product imports, rose 1.7% from a year earlier to about 9.5 million barrels per day (bpd) last month, according to Reuters calculations based on preliminary government data. A slide in China’s annual inflation rate in November at the same time as a slowdown in industrial output has also raised expectations Beijing will loosen monetary policy to stimulate growth, helping boost demand for oil. Ministers of the Organization of the Petroleum Exporting Countries (Opec) were due to start arriving in Vienna on Monday ahead of a 14 December meeting to discuss output. Opec members have been at odds over supply policy since June but look set this week to agree a new production target that will endorse current cartel output around 30 million barrels per day (bpd), delegates say. Opec’s leading price hawk, Iran, said on Sunday the oil market was balanced and called on some Opec producers to cut back as Libyan output resumes. But Tehran appears to be willing to accept a recommendation by Opec’s Vienna-based secretariat that 30 million bpd is required from the group in the first half of 2012. Top oil exporter Saudi Arabia surprised markets last week by saying it had boosted output to more than 10 million bpd to feed increased demand from consuming countries. The International Energy Agency (IEA) said on Monday a boost in Saudi production would provide “welcome" relief to rising oil prices, warning continuing hikes threatened to thwart global economic recovery efforts. For the week ahead, investors are expected to watch for a series of US data numbers such as retail sales, consumer prices, manufacturing and jobless claims -- aside from headlines out of Europe -- to gauge direction.